To make clear why that was so, Chiara, the young CEO of the historic Lungarotti firm, presented WMG members with an assortment of Umbrian wines that embraced not just Lungarotti’s bottlings but examples from most of Umbria’s now numerous DOC zones – a very impressive lineup, in both variety and quality. Chiara’s father, the near-legendary Giorgio Lungarotti, was the great pioneer of Umbrian wine. 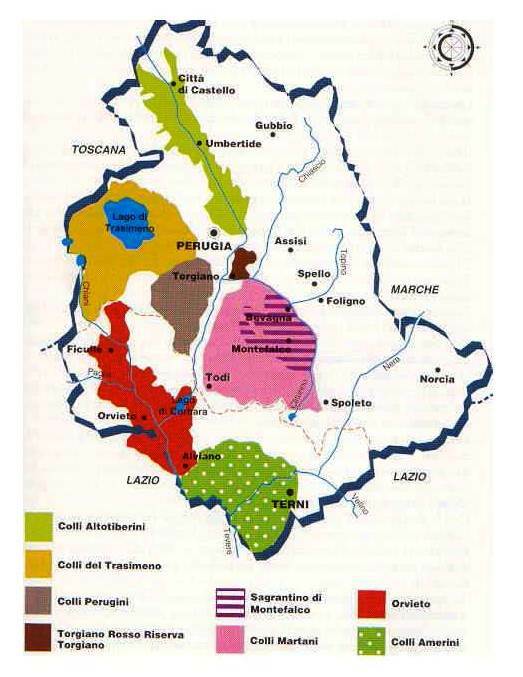 Back in the ‘60s, his Rubesco won the first DOC for Umbria (Torgiano Rosso), only the fifth in all of Italy. 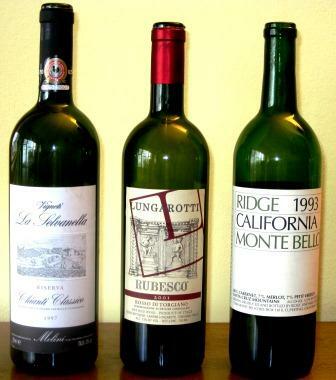 He also blazed the trail for single-vineyard wines, at a time when, for Italy, that was a daring novelty. 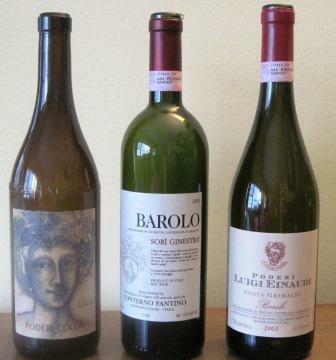 His white Torre di Giano Vigna Il Pino and red Rubesco Riserva Vigna Monticchio are still the firm’s flagship wines, even though the line has expanded and the firm now also produces wine in the Sagrantino DOC and other parts of Umbria, as well in its home base of Torgiano. To tourists – wine tourists included – Umbria remains a territory far less known and travelled than Tuscany. That’s a shame, because in many respects Umbria is the handsomer region. It’s less wild and rugged than Tuscany, more mellow and gentler, and it has its full share of castellated hills, artistic treasures (Assisi, for one), and classical and Etruscan antiquities (Perugia still boasts an Etruscan city gate). Moreover – I speak as one whose dinner is always important to him – its cuisine is far more interesting and varied than Tuscany’s, despite the totally inflated reputation of Tuscan cooking in this country. “Burnt meat and baby food” is the way food writer Fred Plotkin once described Tuscan cooking to me. The Umbrian menu uses more game, has more truffles (three seasons out of the year! 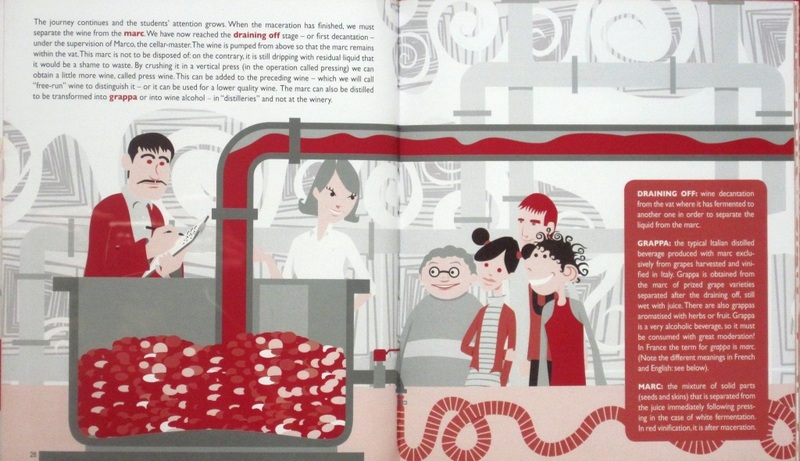 ), and is famous throughout Italy for the quality of its sausages and salume – so much so that in Rome, pork butchers are called Norcerie, after Norcia, the town that is the Umbrian epicenter of salume and the site of an annual truffle fair. 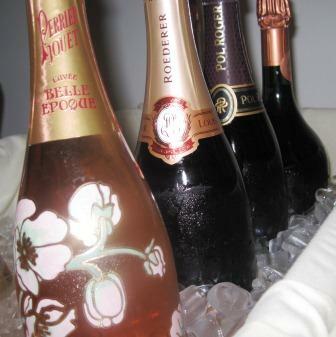 The importance of that rich cuisine is precisely its interaction with Umbrian wines. They have developed together over the centuries to mesh seamlessly. Umbrian wines, as WMG members discovered at their lunch, match comfortably with all sorts of food – and that doesn’t mean just Italian food. We drank them with papa al pomodoro from their native central Italy, then a southern-Italian accented fettucine with meat and tomato ragu, and finally with slices of pork filet over a bed of lentils and farro with mushroom sauce that, except for the farro, was scarcely Italian at all, simply contemporary international style cooking. 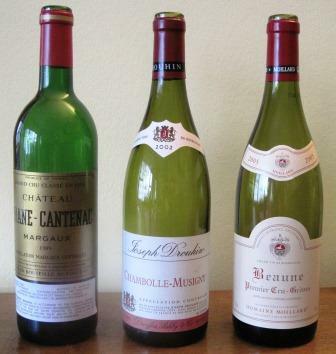 For my palate, all the wines worked with all those dishes, the whites as well as the reds. That’s versatility! Lungarotti Torre di Giano 2009. By far, my favorite white of the day. A half-and-half blend of Trebbiano and Grechetto, marked by lovely fruit and penetrating minerality, excellent presence of enlivening acidity – a wonderful dinner wine at an excellent price (suggested retail price $15). Palazzone Grechetto 2009. A relatively rare wine, 100% Grechetto. A very good wine with fine Grechetto character. Long-time Italian wine fans will remember the flavor of Grechetto from Orvieto, where it is a key component. This wine comes from the heart of that zone. SRP $15. Lungarotti Pinot Grigio 2009. Lovely varietal character, with more body than the purely aperitif-style PGs possess. 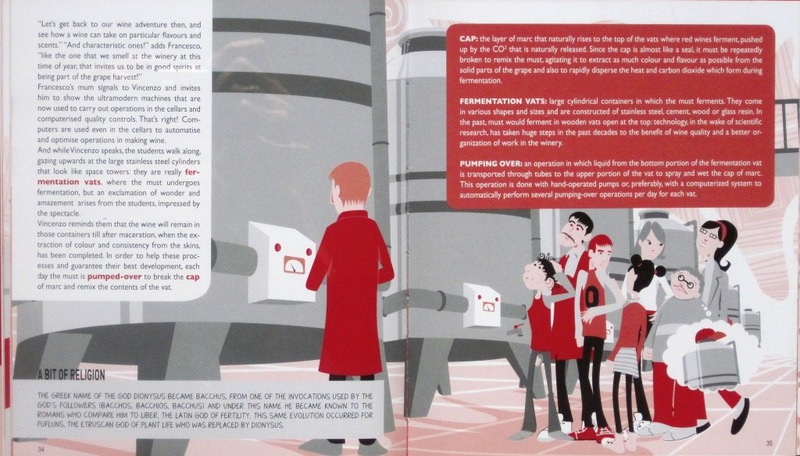 From free-run juice vinified in stainless steel and kept on the lees until bottling. SRP $15. Palazzone Terre Vineate Orvieto Classico 2009. A blend of 50% Procanico, 30% Grechetto, and 20 % other local varieties. A very enjoyable, medium-bodied white, marked by striking minerality. SRP $17. Cantine Peppucci Montorsolo Grechetto di Todi 2009. It’s 100% Grechetto but doesn’t have as vivid a varietal character as the other wines. But still quite pleasantly drinkable. SRP $12. Cantina Fanini Robbiana 2009 Chardonnay. 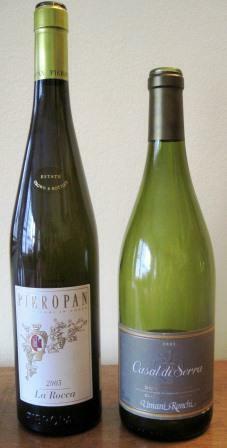 Grown near the Tuscan border, 100% Chardonnay, kept in barriques – of which, happily, it does not taste. This is in fact quite a decent Chardonnay, but – in all honesty – if it isn’t from Burgundy, I’m just not very interested in Chardonnay any more. Enough is enough. SRP $22. 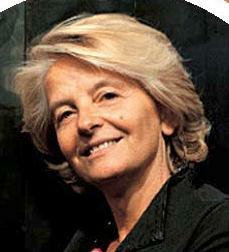 Lungarotti Rubesco 2007. Vinified from 70% Sangiovese and 30% Canaiolo, but it goes its own way and doesn’t mimic Chianti. Medium body and lovely fruit: This wine accompanied every course of the lunch perfectly. A major bargain at its SRP of $15. 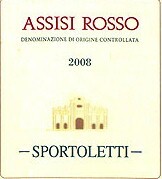 Sportoletti Rosso di Assisi 2008. 50% Sangiovese, 50% Merlot and Cabernet, vinified under the direction of Riccardo Cotarella. A very pleasant wine, easy to drink. SRP $18. Sportoletti Villa Fidelia Rosso 2006. A blend of Merlot, Cabernet sauvignon, and Cabernet franc, this wine has a very high reputation, but I am always turned off by it. For my palate, it is totally oak-dominated and scarcely drinkable. Some WMG members (whom I think of as kin to woodpeckers) really grooved on it, however. De gustibus and all that. SRP $38. 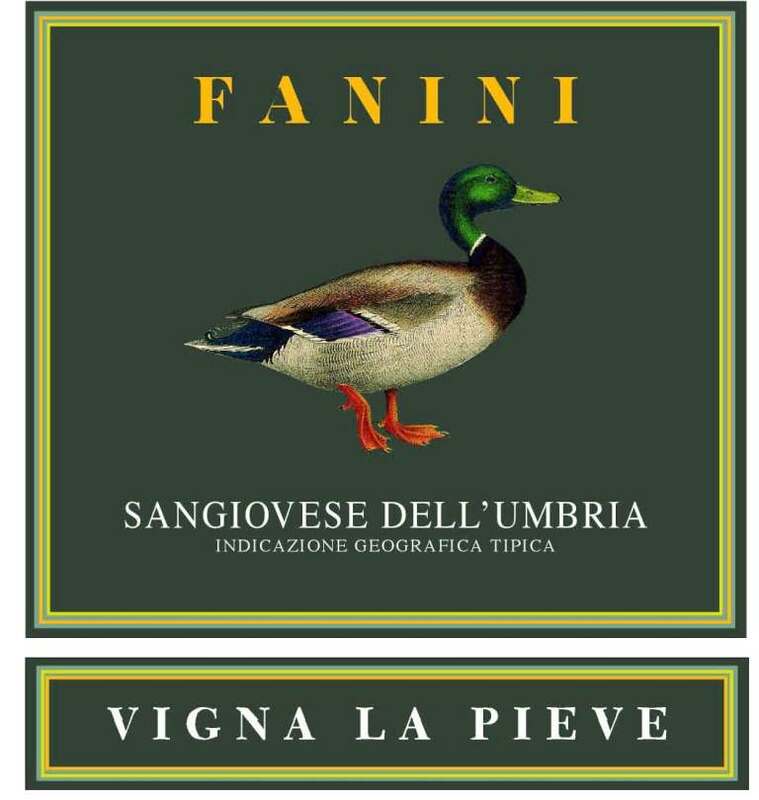 Cantina Fanini Vigna la Pieve 2006 Sangiovese. 100% Sangiovese, and unfortunately in its dumb phase right now, but still showing some characteristically Umbrian soft Sangiovese fruit. 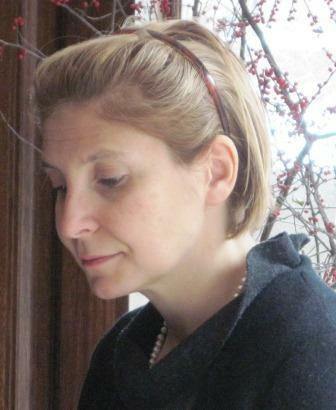 Umbrian Sangiovese, Chiara told us, was “like the Umbrian landscape – softer and gentler than Tuscany.” SRP $23. Lungarotti Rosso di Montefalco 2008. 70% Sangiovese, 20% Merlot, 10% Sagrantino: Merlot and the rugged Sagrantino work well together. Fresh and big, in the Montefalco way, but very balanced. For me, one of the top wines of the zone. SRP $28. Lungarotti Rubesco Riserva Vigna Monticchio 2005. Same grape blend as the basic Rubesco, but from a prized vineyard and aged longer (partly in barriques). Slightly mute, but nevertheless lovely, balanced, and long-finishing. 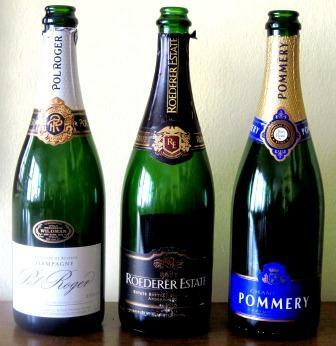 This is a wine to cellar and serve on special occasions. SRP $57. La Palazzola Rubino della Palazzola 2005. Cabernet and Merlot, 80/20. A very good wine, with a judicious balance of fruit and mineral, acid and tannin; in all probability, will age well. SRP $50. Cantine Peppucci Alterego 2006. Sagrantino from the Todi area. I found this very closed: Nothing was getting through for me except the abundant tannin. Clearly, a wine that needs time. SRP $23. 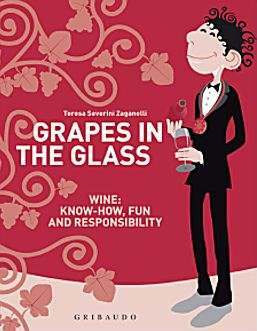 Tenuta Alzatura Sagrantino di Montefalco 2007. The Cecchi family of Chianti Classico fame have set in roots (sorry) in Montefalco. This is one of their first efforts – a very drinkable wine (an achievement, not a given, in Montefalco), with a distinctive walnut finish. I’d cellar it for at least a few years. SRP $45. Lungarotti Sagrantino 2007. Youthful, and showing some nice fruit and structure. Sagrantino’s usual assertiveness seems tightly controlled. I’d cellar this one too. SRP $48. Antonelli Sagrantino Chiusa di Pannone 2004. A single-vineyard wine that sees a lot of largish oak during its maturation. Surprisingly closed for a seven-year-old, but what showed was interesting indeed. Worth waiting a while longer for. SRP $40.